Lanius kirhocephalus Lesson and Garnot, 1827, Dorey, Vo-gelkop, New Guinea. 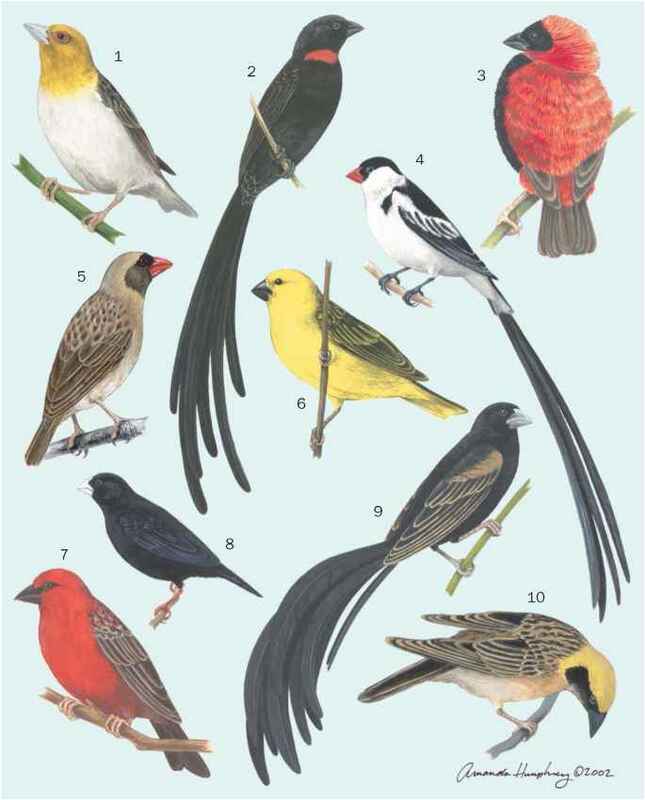 Twenty-one subspecies. French: Pitohui variable; German: Okkerpitohui; Spanish: Pitojui Variable. 9-10 in (23-25.5 cm); 0.19-0.22 lb (85-100 g). Black head and primary feathers with orange underparts, rufous back and secondaries, and black legs. 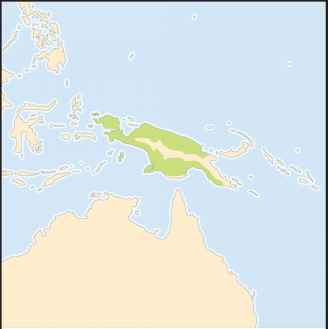 New Guinea and satellite islands. Thick vegetation along forest edges and in secondary growth and disturbed forest up to 3,630 ft (1,100 m), in places to 4,950 ft (1,500 m). Gregarious, usually seen in pairs or small parties. Secretive, hides in dense vegetation. Has a loud musical voice; duetting between birds has been recorded. Insects and fruit. Often joins other species in mixed-species foraging flocks. Nesting habits and eggs are undescribed. Not threatened. Abundance variable across range; very common in places, rare or absent in others.